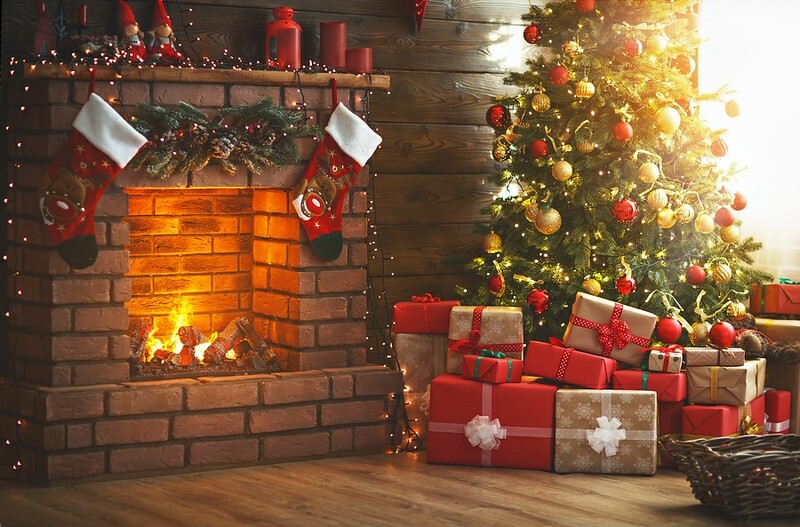 As we enter the Christmas season, many of us with younger children are looking for ways to enhance the holiday wait time and impart the real meaning of the season. While there is a great deal of attention given to the nightly escapades of a certain Elf on the Shelf, thankfully, there are several entertaining and faith-driven alternatives for the holiday Advent season. We’ve collected the information here for five fun ways to count down to Christmas Day while leading your kiddos to the true meaning of the manger and the Reason for the Season we call Christmas. The Shepherd on the Search: The Shepherd on the Search is a fun family activity published by Dayspring and it celebrates the birth of Christ with a beautifully illustrated interactive storybook by Josh & Lindsey Helms with illustrations by Jonathan Bishop., a 9.5″ plush Shepherd, and a Nativity keepsake box. You can utilize the 25-daily ADVENTures to engage children as they count down to Christmas and search for baby Jesus. There’s even a #ShepherdontheSearch on Instagram and a website where you can gather ideas on how to incorporate biblical stories into Advent activities! Little Lamb from Bethlehem: Little Lamb from Bethlehem tells the nativity story from the perspective of one Little Lamb and focuses on how children can follow the example Christ set by serving others. Created by Deseret Book, the set comes in a bright blue box with a hardcover storybook written by Kevin Keele and Christine Stevens Mower, plus a soft, plush lamb. There’s an entire website filled with fun crafts and other activities to incorporate for children, whether at home, at school, or in a Sunday school class at church. The Giving Manger: According to their website, The Giving Manger “helps families shift the focus of Christmas back to giving. A piece of straw is placed in the manger for each kind deed or act of service performed. 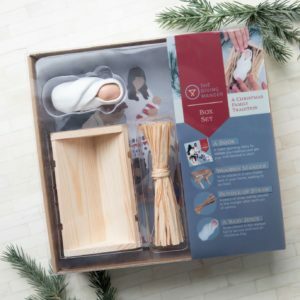 On Christmas Day, the Baby is placed in the manger filled with service and love.” With gifts of service as the focal point, the gift pack comes with a small wood manger, a bundle of straw, a baby Jesus, and a storybook written by Allison Hottinger and illustrated by Emily King. You can find more #MangerMoments on their Instagram. The Mouse and the Miracle: The Mouse and the Miracle is a simple alternative that can be found on the well-known Oriental Trading Company website. In this Christmas set, the mouse, who sits thanks to a weighted bottom, shares with kids the message that Jesus is the best gift of all. While there’s not extra media involved, the 9″x9″ book explains the mouse’s story, and parents and teachers are encouraged to place a note in the mouse’s backpack explaining that he will move each day with messages focused on giving and sharing. The Shepherd’s Treasure: The Shepherd’s Treasure was created by Stephanie Parker and her husband Brett, who were featured on Shark Tank for their other company SleepingBaby. This set comes with a plush Shepherd doll and plush baby Jesus, plus a hardcover book and Advent cards that focus on a specific Bible verse and a note from the Shepherd. This Christian alternative to the popular Elf on the Shelf set allows kids to follow the Shepherd on a treasure hunt to find the true meaning of Christmas. More details and extra add-ons are available on their website. Y’all, there are a myriad of ways you can bring joy and giving to the days of Advent for your family with or without a specific set, doll, or story. However, after searching for ideas, we chose these for their biblical worldview and their giving-centered themes. Of course, there are many more options, including the book Unwrapping the Greatest Gift: A Family Celebration of Christmas from Ann Voskamp and our own picture book C is for Christmas by Michelle Medlock Adams. The most wonderful part of the Advent calendar is that you can find whatever works best for your family, put your own personal touch on it, and change it up each year as your children grow and your family dynamic changes. No matter what you choose to do, we pray that you and your family have a wonderful holiday season celebrating the love and gift that is Jesus.